Dr. Maria Lourdes Gozali has completed her Medical degree at the University of Santo Tomas, Philippines. She finished her pediatric residency and fellowship in infectious diseases in Makati Medical Center in the Philippines. She served as a former chairman of the Department of Pediatrics of Asian Hospital and Medical Center and was also chief of the section of the Pediatric Infectious Diseases in Makati Medical Center and Asian Hopsital and Medical Center. She is an active consultant in both hospitals, as well as in St. Luke’s Medical Center Global City. Dr. Linana Monica Deac working at Public Health Institute, Cluj-Napoca, Regional Public Health Center, Ro National Public Health Institute, Babes – Bolyai University – 2004 to present. 1993-2000, Head of the Transylvania Epidemiology Department ( for 12 regions) 1997 – 2004 Head of several Academic and National researches and studies for epidemiology and microbiological etiology of specific infectious diseases 2005- present : Staph and Strepto - coccical infect. 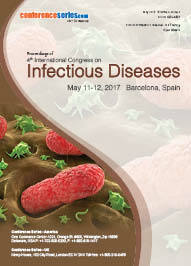 , Nosocomial infections , Hand washing as preventive activity for Infect Dis., Foodborn infection, Infectious diarrhea in children, Giardioza infect in population from Transylvania, Immunization studies in Romania; Coordination of general and particular actions for prevention of Infect Dis in Ro. 2 Regional awards, for prevention activity in elderly people’s pathology ( 2010 and 2012). Glenn S Tillotson has over 30 years pharmaceutical experience in pre-clinical and clinical research, commercialization, medical affairs, scientific communications including publication planning strategic drug development, life cycle management and global launch programs. He has been instrumental in the development and launch of ciprofloxacin, moxifloxacin, gemifloxacin, fidaxomicin and several other agents. He is a SVP of Medical Affairs where he is preparing for the launch of solithromycin for community acquired bacterial pneumonia. He has published more than 170 peer-reviewed manuscripts and is on several journal Editorial Advisory Boards including the Lancet Infectious Disease, eBioMedicine, Expert Reviews in Anti-infective Therapy and F1000. Nito Panganiban, Ph.D., is Professor and Interim Division Chair of Microbiology at the Tulane National Primate Research Center, Chief Scientific Officer at Peptineo, and a member of the Department of Microbiology and Immunology at the Tulane University School of Medicine. Dr. Panganiban received his PhD in Microbiology and Immunology from the University of Washington, where he carried out research on bacteriophage RNA processing in Helen Whiteley's lab. He did two years of postdoctoral work on retrovirus replication in Howard Temin's lab at the McArdle Lab for Cancer Research at the University of Wisconsin before joining the faculty at McArdle. He was then a Professor in the Department of Molecular Genetics and Microbiology at the University of New Mexico Health Sciences Center. He moved to Tulane in 2012. Past work has centered on retrovirus replication including HIV. Dr. Panganiban does research on diverse emerging RNA viruses, with emphasis on pathogenic, zoonotic RNA viruses including members of the bunya- and flavivirus families including Zika virus, Rift Valley Fever, Crimean Congo hemorrhagic fever, and hantaviruses. He is an expert in multiple facets of molecular virology and nonhuman primate models for RNA viruses, vaccines, virus-host interaction, high containment facilities, molecular biology, and genomics. In addition to his academic research and teaching, he is CSO of Peptineo (a biotech firm based in Albuquerque), and has served on numerous NIH, and additional, national committees and panels, and has served as a consultant for biotech and multi-investigator consortia. Dr. Montelaro is a Professor in the Department of Microbiology and Molecular Genetics of the University of Pittsburgh School of Medicine with secondary appointments in the Department of Infectious Diseases and Immunology (Graduate School or Public Health) and the Department of Medicine Division of Infectious Diseases. He serves as the Co-Director of the Center for Vaccine Research and the Scientific Director of the Peptide Synthesis Core. He received his PhD in Biochemistry in 1975 from the University of Wisconsin-Madison. His research interest is in viral immunology and vaccine development, especially as related to AIDS, emerging diseases, and biodefense. The primary focus of the Montelaro lab is to elucidate the intricate interactions between viral pathogens and host immune responses to determine the mechanisms by with host immunity contributes to protection and disease and to serve as a basis for the development of effective vaccines. 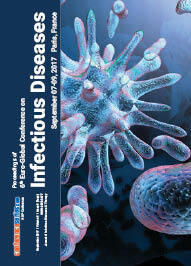 A particular interest of the lab is to develop effective strategies to overcome the challenge of natural viral antigenic variation that has evolved as a common complication to the development of effective vaccines to important viral diseases, including those related to biodefense and emerging infectious diseases. 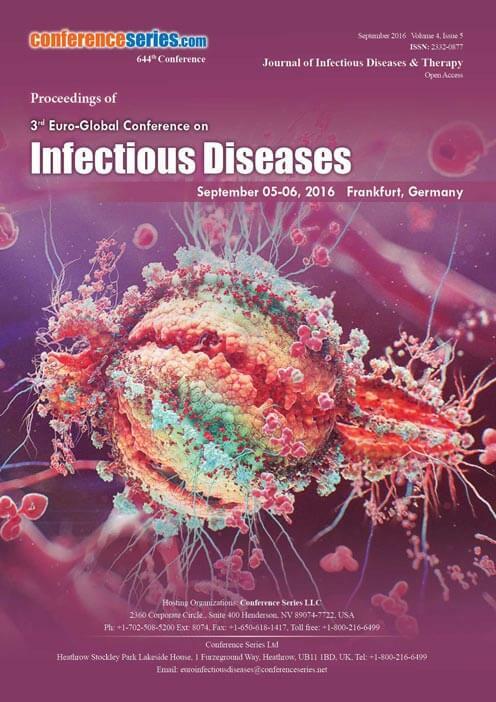 Systems currently under investigation include HIV-1 and related animal lentiviruses (SHIV, SIV, and EIAV). 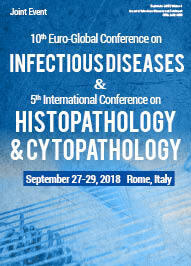 Studies in these systems include investigation of the nature and role of antigenic variation during infection, the development of novel assays to characterize virus-specific innate, humoral, and cellular immune responses, and the design of engineered immunogens for effective vaccination against variant strains of a particular virus. In addition to these vaccine related studies, the lab also maintains a research program to develop novel de novo antimicrobial peptides (engineered cationic amphipathic peptides, or eCAPs) that can be used to inactivate a diverse spectrum of bacteria or enveloped viruses in a prophylactic or therapeutic treatment modalities. Professor Grażyna Rydzewska M.D., PhD serves as a Head of the Department of Internal Medicine and Gastroenterology with IBD Subdivision, Central Clinical Hospital of Ministry of Interior and Administration, Warsaw, Poland. She currently serves also as a Vice-president of the Polish Society of Gastroenterology, and founding member and President of the Polish Pancreatic Club, member of coucil in International Association of Pancreatology and member of the European Pancreatic Club. She is also a professor and Director of Institute of Nursing and Obstetrics in Haculty of Medicine and Health Sciences at Jan Kochanowski University, Kielce. She has founded and currently serves as Editor-in-Chief of Gastroenterology Review, also as Editor-in-Chief of International Journal of Gastroenterology Disorders & Therapy. She is a member of editorial board in many journals in gastroenterology and internal medicine field (Nowa Klinika, Polish Gastroenterology, Medical Studies, Lekarz POZ, Gastroenterologia Praktyczna and others). During 10 years she was as Chief of Polish Medical Advisory Council on Gastroenterology (national consultant) and national representative in European Crohn and Colitis Organisation. Professor Rydzewska serves also as a member of clinical advisory boards at some pharmaceutical companies. Professor Rydzewska main areas of interest are pancreatology, especialy signal transduction in pancreatic cells, prognosis and treatment of acute pancreatitis, treatment and prognosis in inflammatory bowel disease, and gastrointestinal endoscopy. She has published over 150 articles in peer-reviewed journals and over 10 chapters in medical textbooks. Irene Wagner-Dobler studied biology in Munich and a PhD on an environmental issue - the vertical migration of planktonic insect larvae in lakes. Then she came as an assistant of the Scientific Director to Braunschweig at the GBF - now the HZI - and rose 1989 in the Department of Microbiology. Since they deal with topics of microbial ecology . Since 2001 Irene Wagner-Dobler is a professor at the University of Braunschweig and forwards since 2004, the working group "Microbial Communication". She has won several international research awards. To understand the mechanisms behind the bacterial communication in detail. Then we can disrupt this radio and thus prevent the bacteria develop their pathogenic properties. Carmen Alvarez-Dominguez has completed her Ph.D at the age of 29 years from Universidad Autonoma de Madrid and postdoctoral studies from Washington University School of Medicine on Small GTPases role in Listeria monocytogenes phagocytosis. She is the director of the Group on Genomics, Proteomics and Vaccines at the Research Institute Marqués de Valdecilla (IDIVAL) in Santander, Spain. She has published more than 29 papers in reputed journals and serving as an editorial board member of Microbes and Infection and OMICS. She also is coauthor of the patent: Immunogenic peptides against Listeria and Mycobacterium, antibodies and their uses with reference PCT/ES2007/070144. Kathleen Hefferon received her PhD from the Department of Medical Biophysics, University of Toronto and continued her post-doctoral studies at Cornell University. Dr. Hefferon has worked on faculty at the Division of Nutritional Sciences at Cornell and has written two books on biopharmaceuticals in plants. She teaches and conducts research at both the University of Toronto and Cornell University. Kathleen has 4 patents, has edited 6 books, and has multiple research publications. Kathleen currently lives with her family near Ithaca NY. Pietro Mastroeni received a Degree in Medicine and Surgery from the University of Messina, Italy. He moved to the University of Cambridge, UK where he completed his Ph.D before becoming a Research Fellow at Imperial College, University of London UK. He is currently a Reader in Infection and Immunity at the University of Cambridge. He has published more than 100 papers in reputed journals and serves as an editorial board member. Recent research in his group is focused on the study of pathogenesis and immunity to bacterial infections and on the improvement of strategies to deliver vaccines to the immune system. They concurrently run a number of multidisciplinary integrated research projects. Their past research has defined the role of cytokine networks, antibodies, phagocytes, B-cells and T-cell in host resistance to bacterial infections and has unravelled many bacterial virulence genes that counteract the immune system. This work is still evolving and has already contributed to the generation of new vaccine candidates. Recently, they are focused on understanding how individual bacteria interact with host cells in vivo and how subpopulations of microbes spread and distribute in the body. This has been achieved by novel multidisciplinary research approaches that integrate information acquired at different levels spanning from individual cells to global systems. This work has opened the possibility to comprehensively study the mechanistic bases of immune control of bacterial infections, thus opening the field to novel high impact research on improved prevention measures and medical treatments to fight infection. And currently, also delving into the interactions between the host and bacterial genome highlighting which bacterial genes play a role in counteracting specific host mechanisms. This research will lead to the identification of novel targets for vaccines and drug development. We are also exploring other new areas within infection such as the interplay between microbes and autoimmune diseases and the possibility to use recombinant bacteria as anti-cancer agents. This research may have translational outcomes in the generation of tools to modulate the course of autoimmune diseases and to destroy cancer cells in vivo. Another crucial line of research that we are actively pursuing deals with the understanding of how different cellular population and cell-surface receptors co-operate for the initiation and expansion of immune responses. This research is providing clues on what is required from bacterial vaccines to be effective and is guiding the development and testing of new vaccine preparations in human and domestic animals. A. Paulo G. Almeida is Associate Professor in Medical Entomology/ Parasitology, at the Institute of Hygiene and Tropical Medicine, Universidade Nova de Lisboa (IHMT/UNL), since 2009, where he is Director of the Unit of Medical Parasitology. He is currently a visiting professor at the ZRU, University of Pretoria. He has a Medical degree from the Classic University of Lisbon; Diploma in Tropical Medicine & Hygiene (DTM&H), Royal College of Physicians, London; MSc Medical Parasitology, University of London (LSHTM) and PhD in Medical Entomology/Parasitology, University of London (ICSTM). Researcher and teacher in Medical Entomology and Parasitology and Coordinator of the MSc in Medical Parasitology of the IHMT/UNL. Has been invited as teacher in University of Oporto, University of Algarve, Faculdade Ciências e Tecnologia/ UNL, Faculdade de Veterinária/ UTL, Instituto de Ciências Sociais e Políticas/ UTL and Faculdade de Ciências/ UL. 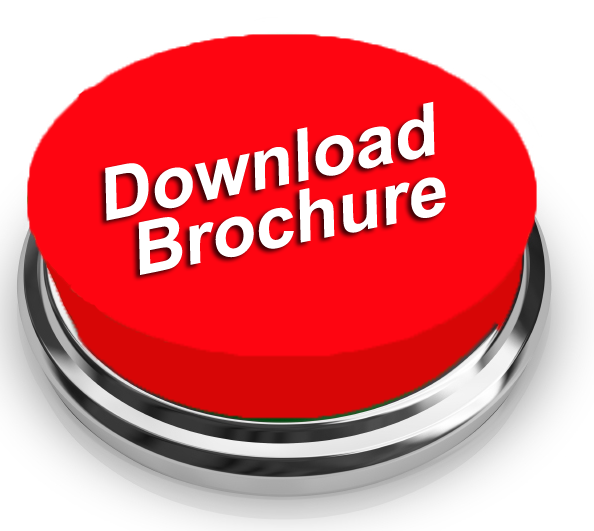 APG Almeida is author/co-author of over 30 peer reviewed publications and 5 book chapters. APG Almeida's main areas of interest are anti-vector (mosquito and tick) vaccines and immunity and Vector-Parasite relationships; Studies on mosquito vectors aimed at malaria, arboviruses (WNV, dengue), filariasis, vector incrimination, and epidemiology; Mosquito systematics, molecular biology, bioecological and surveillance and control studies in different ecological settings; Climate change and risk analysis of mosquito borne diseases, in collaboration with specialists on remote detection. Almeida has led various research projects in those areas, supervised several postgraduate degrees, and acted as a consultant for the Portuguese National Directorate of Health and ECDC. Dr. Bogdan Circiumaru currently hold the position of a Consultant in Infectious Diseases at the „Matei Balş“National Institute of Infectious Diseases, in Bucharest, Romania. Qualified in 1989 at the Bucharest State University of Medicine, He obtained a Diploma in Tropical Medicine and Hygiene, and a Master of Science in Infectious Diseases from the University of London. This was followed by a PhD at the Bucharest State University of Medicine. He is an experienced clinician, with good skills in clinical infectious diseases and tropical pathology. His experience includes work under the supervision of Prof. Jon Cohen and David Mabey (London), and I also worked under the supervision of Prof. Antonella D`Arminio Monforte (Milan) with HIV/AIDS patients. He had numerous publications, especially in the infectious and Tropical Diseases. He had been awarded by the University of Bucharest with The Diploma of Excellence for the Book “Compendium of Infectious Diseases“. He also published a paper into the book: “NBC Risks (1999). Current Capabilities and Future Perspectives for Protection. NATO Science Series”. Dr Atmaram Bandivdekar completed Ph D Degree at the age of 31 years from Mumbai University. He was Post-Doctoral and Carrier fellow at Population Council, New York. He was also the visiting scientist at UC Davis Primate Center, USA. He is the Consultant at National Institute for Research in Reproductive Health which is the premier Institute in India in the field of Reproductive Health Research. He has published more than 85 papers in peer reviewed journals and also the book and two conference proceedings. He also has six National and International awards for his scientific contributions.